in the film industry. Pizzolatto has worked as a writer before, of which the most notable title of his was a novel called "Galveston", that won French Prix du Premier Roman Étranger -award in 2010. The show is led by two actors with a lot of movie-background: Woody Harrelson and Matthew McConaughey. Harrelson is known of his more comical roles (Dumb And Dumber), while McConaughey of more serious roles (Interstellar, Mud). Format of True Detective is rather interesting. One season is kind of like watching a lengthy movie; 8 episodes with the same main actors and story, after which the season ends, and a new main story with new actors take place on the next season. The old cast, as far as I know, is then ditched, because Season 2's plot doesn't connect with the one of the Season 1's. Another interesting thing is presentation of the timeline and the pace of True Detective. Season 1 of the series takes place on the modern times, but jumps on the past happenings almost majority of the play-time. It's 1995 in Louisiana: detective Marty Hart, a local cop, gets assigned to investigate what appears to be series of connected murders, committed in ritualistic and occult manners. Several victims all have stab-wound like patters on their lower belly, and they have been carefully positioned in a certain way after the murders, and have been decorated in a weird manner. Each of the victims seems to be posing with puzzling "antlers" on their head. The crime scenes are often filled with several weird symbols that someone left behind. What could be behind the murders, a satanist serial killer or a cult? Hart is soon given a new working partner, detective Rust Cohle to solve the crimes. Hart appears to be a good, honest, family-man with a wife and two children, but on the inside he is man with rather short temper and low-morale; as he keeps cheating his wife with young hot women. Cohle, on the other hand, seems like a wise and calm thinker type; but with sinister, almost psychotic thoughts at times. This keep frightening even Hart at times, who seems to be rather hardened type, himself. Other times he's just annoyed with Cohle's weird riddles. While Hart sinks into melancholy because of the things he does, and their consequences which affect to his own satisfaction (getting caught of cheating etc. ); Cohle seems to sink into melancholy because of what kind the world is - an ugly place, which he cannot change. The pair, which doesn't seem to get along too well, continues trying to solve the murder mysteries together, puzzled by their weird symbolism. The deeper they look, more expansive the pattern behind the murders seems to be. Is the church connected? Is the governor himself connected? Everything points to a larger group rather than a single killer, with connections to the people in socially higher class positions. The more Hart and Cohle push the case, more they are pushed behind my certain people. What could lie behind all this? How far do they have to go to solve the cases? Without spoiling too much of the plot, all I can say is just wow! This show took me with a BLAST! True Detective (Season 1) is the best show for me since "The Shield", which was magnificent. The show succeeds to punch you in to the face with a big emotional impact; violence, sadness, excitement - without showing the actual violence and gore too much. I was excepting to see actually much more violence in the show, but no. Murder scenes are very nicely filmed and presented, making you feel the uneasy and feel the occult and sinister presence of whatever took place in there, but what I noticed is, that director actually doesn't want to show too much details of the actual murder victims wounds and injuries, per se. One example I could give is, when Cohle gets a video tape in his possession that shows one of the murders. and then shows it to Hart. Nothing disturbing about the tape itself is shown for the viewer in the scene, but instead, camera focuses zooming on Hart's face, who is frightened and enraged at the same time while watching the video. Impact of the high level violence made to the viewer, boom! The director rather focuses the overall scene and it's tone, and alternative ways of presenting the violent content, than showing the highest level gore itself to the viewer. This is not Seven with Morgan Freeman and Brad Pitt, ladies and gentlemen, but it works quite well. 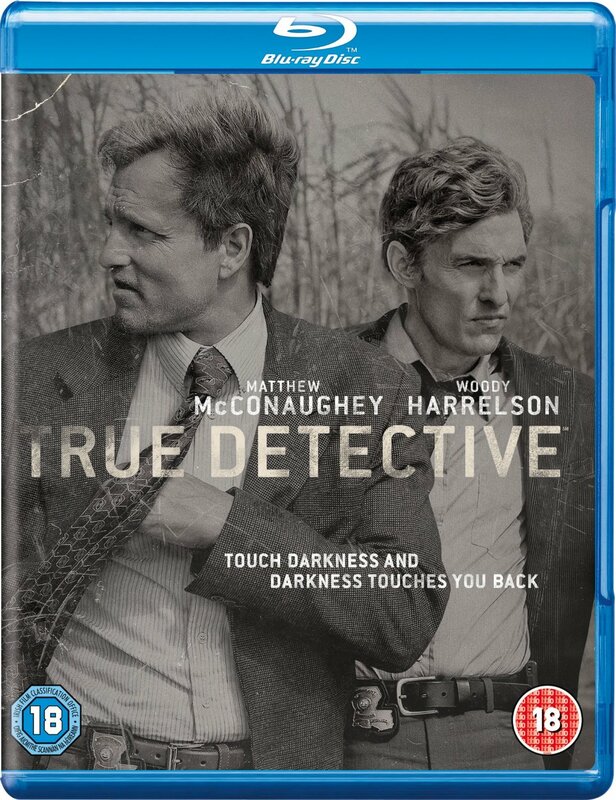 Filming, camera work, and presentation of the different scenes are done beautifully in True Detective; best ones I've ever seen on TV-show. Watching True Detective in terms of camera work quality is like watching a movie with a bigger budget: cuts, zooms, spans, It's just presented beautifully with different great looking sceneries. Roaming through Louisiana countryside, swamps, with their broken churches, while the detectives are chasing the cult (or whatever it is), really deliver the sinister and occult tone of the show nicely, in rather peaceful yet effective manner. That, combined with some of the best TV-show acting yet, is guaranteed to glue the viewer to the TV-screen. Harrelson performs his role of slightly rough-mannered but seemingly honest family man; who in the end isn't that honest after all, in a great way. One of his best roles I've ever seen. 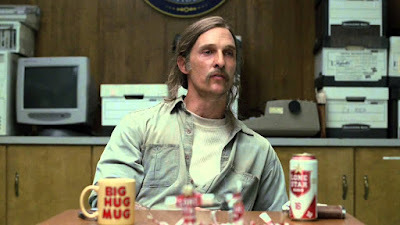 What I was really blown away by, though, was McConaughey outstanding performance in the show. He's a joy to watch, whether he's solving a crime scene, doing some undercover cop work as a motorbike gang member, or being interviewed of his past detective work with just a face-shot. Anyone who can perform with such charisma in a long dialogue scene done just with a face-shot should be given an award, His performance is almost up there with Pacino and some of the other best. What a surprise. Of course, I previously knew he is decent actor; I did like his movie "Two For The Money", and Harrelson isn't actually newcomer in the film industry, either. Other actors didn't really stick to my mind that much, but the side-cast certainly was all right, too. The chemistry between Harrelson and McConaughey is fun to watch, as they are both stubborn men, who are constantly clashing with each other, because they are so different. They just generally dislike each other. Neither of them is particularly bad or good, either, so this isn't a typical good-cop-bad-cop show. Both of the main characters don't seem to be either good or bad; they both have their own good and bad sides, but in the end they come out more as a good than bad personas. 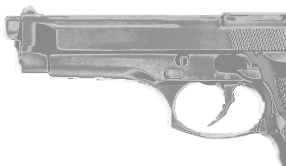 The focus is primarily on the one main story; the murder crime series in Louisiana, and the other sub-stories are used in much smaller amount (compared to "The Shield", for example, where there were sometimes so many sub-stories dividing out of the main story, that one episode would lose the main story of the season almost completely). What brings some complexity to the storyline, though, is the clever way of presenting the story through the interviewing done in the modern times by Gilbough and Papania, when they interview Hart and Cohle, and then taking the scene back in the 90s, where the story moves in chronological order, until in the very end it reaches the modern times, but we're not spoiling that any more. The format works amazingly well. The only small complaint would be the shortness of the season with only 8 episodes. That's slightly too little, no matter what way you view it. Also, while the show starts with several 10/10 ranking episodes and rather realistic approach, I always thought that the plot watered down just a little bit towards the end, while taking a turn towards a bit too weird and unrealistic path. Nothing sorf of Sci-Fi, though. But those are just my minor complaints, even the ending is pretty good. I would give some of the later episodes 9/10 or 8/10, and it's still pretty damn good! To sum it up short: if you're seeking a lot of action, then no, True Detective isn't probably for you. Go for "The Shield". If you're looking for a lot of violence and gore, then no, go and rent "New York Ripper", or watch "The Shield", or even "Walking Dead". 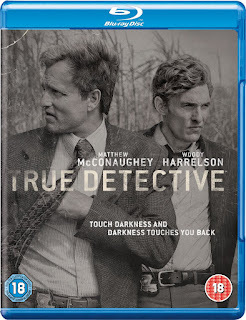 If you, however, are looking for a thoughtful, entertaining crime show, and expect amazing acting performance, stunning atmosphere, and interesting story - go for True Detective! You won't regret it. There's no too much blood, but atmospheric scenes are made due the great presentation and acting. Highly recommended!